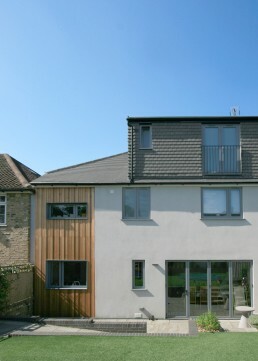 Two storey side extension, loft conversion and complete refurbishment of a 1930’s semi-detached house. 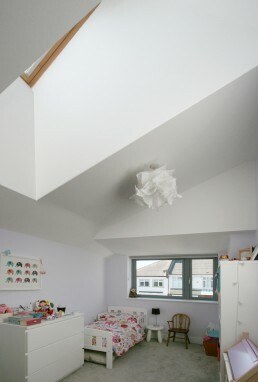 The side extension provides a utility room and kitchen with large store at ground floor with a bedroom and study at first floor. 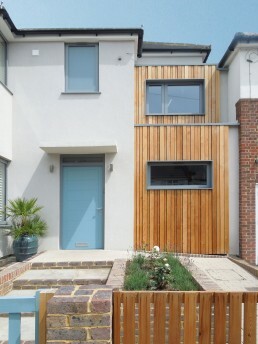 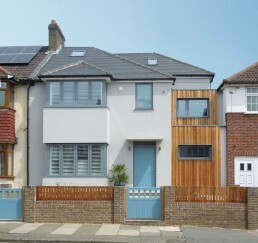 The existing house was largely remodeled to meet the needs of Claire and Dipen’s disabled son who required an adaptive bathroom, wheelchair lift and ramped front and rear gardens. 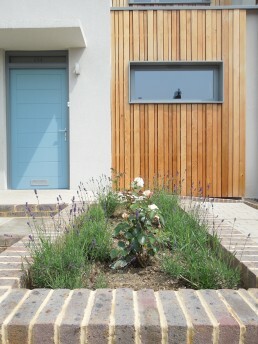 The existing house has been overclad in insulated render and the extension is clad in Western Red Cedar.